Lady Donatia Faith Mary Wentworth-Fitzwilliam was born on 14 March 1904. She was the daughter of William Charles de Meuron FitzWilliam, 7th Earl Fitzwilliam and Lady Maud Frederica Elizabeth Dundas. She married Lt.-Col. Burton William Ellis Gething, son of Constantine Gething, on 3 June 1925. She died on 20 October 1943 at age 39. Her married name became Gething. 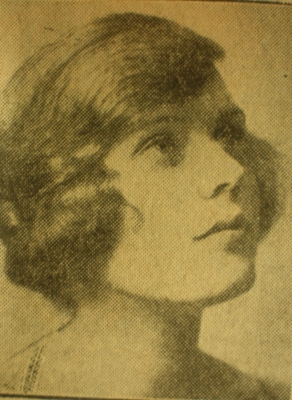 Her married name became Hilton-Green. From 16 June 1966, her married name became Greenall. Francis Hilton-Green died before 1980. Julia Mary Hamilton Hilton-Green was born on 22 September 1938. She is the daughter of Chetwode Charles Hamilton Hilton-Green and Lady Helena Albreda Marie Gabriella Wentworth-Fitzwilliam. She married Martin Molony, son of unknown Molony, in June 1960. Her married name became Molony. [S2158] Danny Molony, "re: Birch Family," e-mail message to Darryl Roger Lundy, 20 February 2007. Hereinafter cited as "re: Birch Family." Martin Molony is the son of unknown Molony.1 He married Julia Mary Hamilton Hilton-Green, daughter of Chetwode Charles Hamilton Hilton-Green and Lady Helena Albreda Marie Gabriella Wentworth-Fitzwilliam, in June 1960. He was a champion National Hunt jockey at IrelandG.1 He lived at County Limerick, IrelandG. Her married name became Greenall. Captain Robert Thomas Oliver Sheriffe lived at Goadby Hall, Melton Mowbray, Leicestershire, EnglandG.1 He lived at Goadby Hall, Melton Mowbray, Leicestershire, EnglandG. Her married name became Greenall. After her marriage, Josephine Laycock was styled as Baroness Daresbury on 24 October 1938.